The government of Canada is continuing to support projects that remove barriers, improve accessibility, and allow Canadians with disabilities to participate in and contribute to their communities. Close to 400 organizations have recently received Canadian government grants for construction, renovation, and modification projects that enhance accessibility in buildings and dedicated locations where individuals with disabilities work and access programs and services. The 400 supported initiatives received government funding through the small projects component of the Enabling Accessibility Fund (EAF). The Enabling Accessibility Fund provided funding for eligible capital projects that improved accessibility for people with disabilities in Canadian workplaces and communities. The small projects stream of EAF assisted projects such as building accessible ramps and pathways, and installing screen reader devices and automatic door openers. The EAF program is currently closed and has not disclosed if it will reopen. Organizations with accessibility projects are now encouraged to look into the Accessible Technology Program (ATP), which is a Canadian government grant designed to support the development and testing of assistive technology. The Canadian organizations that received Canadian government grants from the Enabling Accessibility Fund included churches, parks, community centres, small businesses, and playgrounds across the country. The Enabling Accessibly Fund small projects component provided up to $100,000 in funding for solutions that contributed to a more inclusive and accessible country. Close to 400 organizations received support from the EAF program. Evergreen Community SPACES in Calgary, Alberta was one of the awarded locations, receiving $72,329 in Canadian government funding. SPACES, an arts, events, and activities centre, will be installing a ramp and automatic door openers at its front entrance and making accessibility retrofits to the washrooms on the main floor. Since the creation of the Enabling Accessibility Fund, over 3,500 projects have been supported, improving the lives of thousands of Canadians. Although the program is now closed, a similar program, the Accessible Technology Program (ATP), is accepting applications. The Accessible Technology Program is a Canadian government grant intended to increase the number of assistive device innovations available for individuals with disabilities. The program aims to eliminate employment barriers by helping disabled Canadians have access to digital technologies and better participate in the knowledge economy. Examples of eligible projects include developing assistive technology that is commercially available in the long-term and will enhance the employability and marketability of Canadians living with disabilities. Applications are accepted throughout the year, but only reviewed during a bi-annual call for proposals. The next round of applications is due June 2, 2019 for projects starting in late 2019 to early 2020. 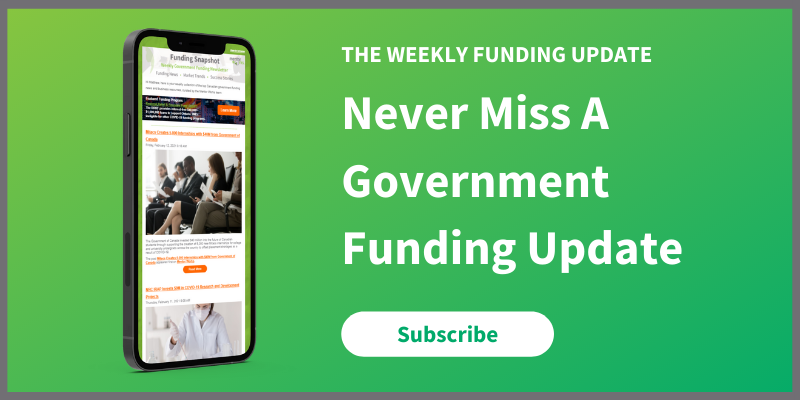 Organizations interested in receiving up-to-date information on government funding programs that support innovative solutions for a more inclusive workforce, please register for Mentor Works’ Weekly E-Newsletter.